IISD Reporting Services (IISD RS) has produced daily web coverage, daily reports, and a summary report from this meeting. 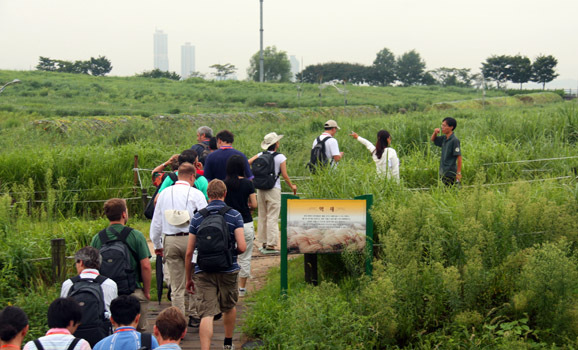 To download our repots, please click below on the HTML or PDF icons. IUFRO President Don Koo Lee thanked IUFRO Board at the close of the meeting. 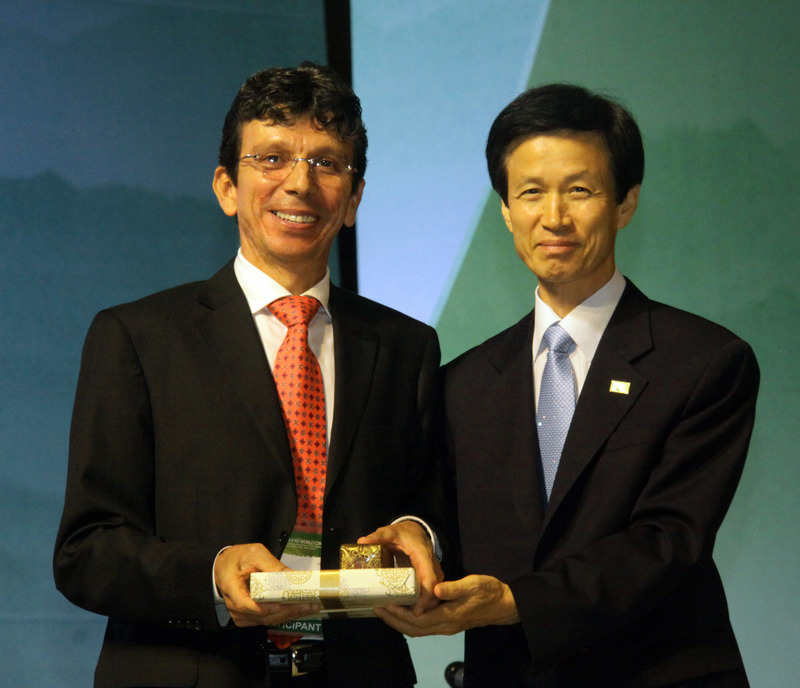 The XXIII IUFRO World Congress met for the final time on Saturday in Seoul, Republic of Korea. 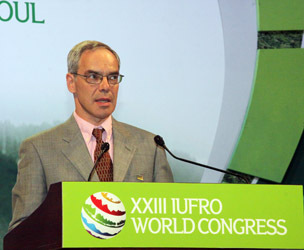 In plenary, participants heard an impassioned keynote address by Peter Shaw Ashton, Harvard University, on the “disastrous trajectory for the rain forests.” Fifteen technical sessions met as well, along with three sub-plenaries covering IUFRO’s priorities for 2010-2014, forest biodiversity, and decentralization and forest livelihoods in a globalized world. 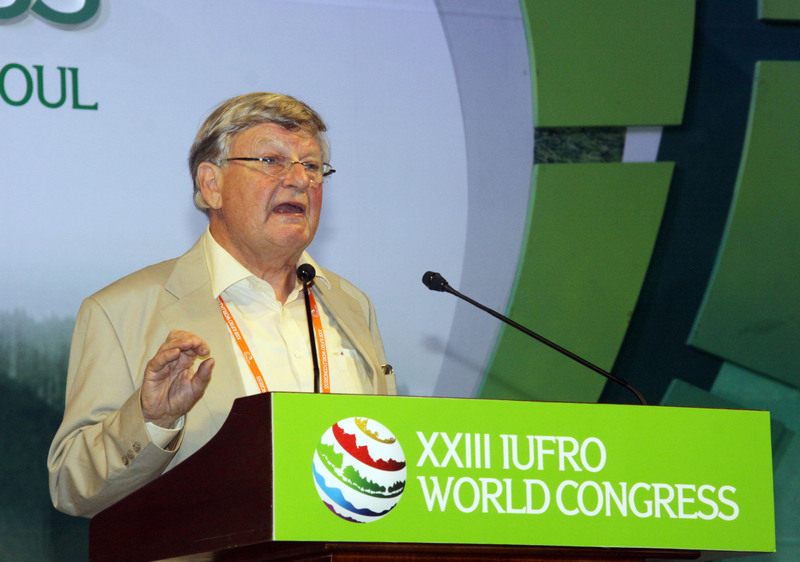 A beautiful video montage and vocal accompaniment began the closing ceremony, which included numerous speeches including those of incoming IUFRO President Niels Elers Koch, and closing words from outgoing president Don Koo Lee. 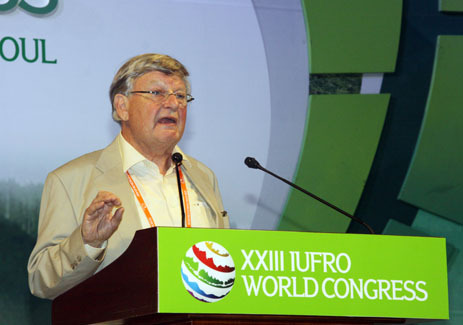 Peter Shaw Ashton, Harvard University, drew on decades of experience in South East Asia to expound on the trajectory of tropical rainforests. 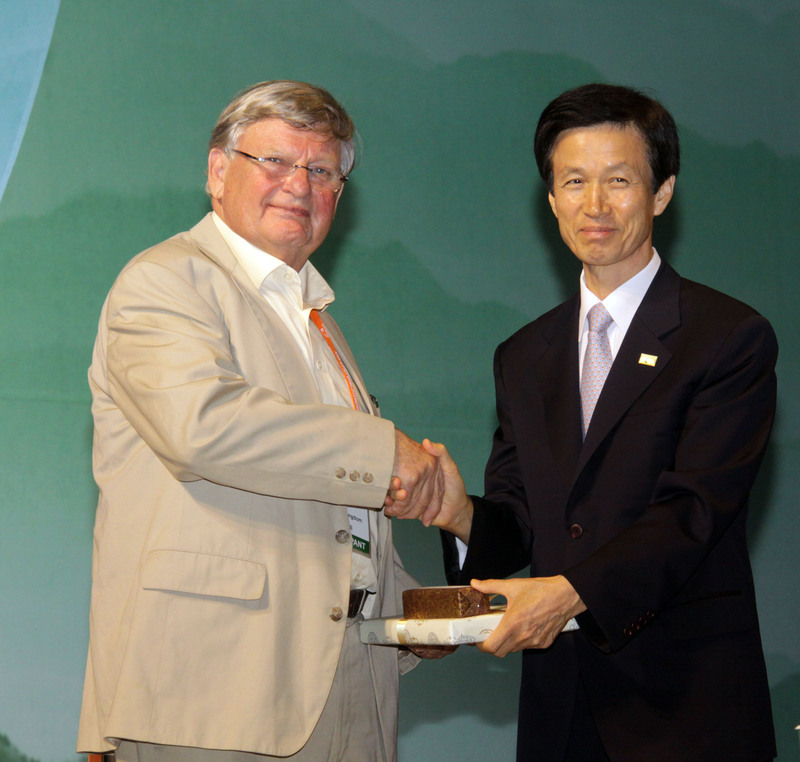 Peter Shaw Ashton receiving a token of appreciation from IUFRO President Don Koo Lee. 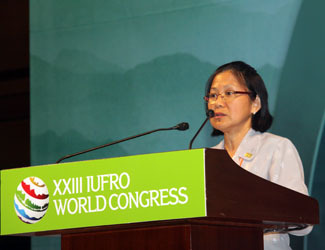 Plenary Chair Su See Lee, Forest Research Institute Malaysia, introduced the Keynote speaker, Peter Shaw Ashton, Harvard University, detailing his long and acclaimed career of work on tropical forests. 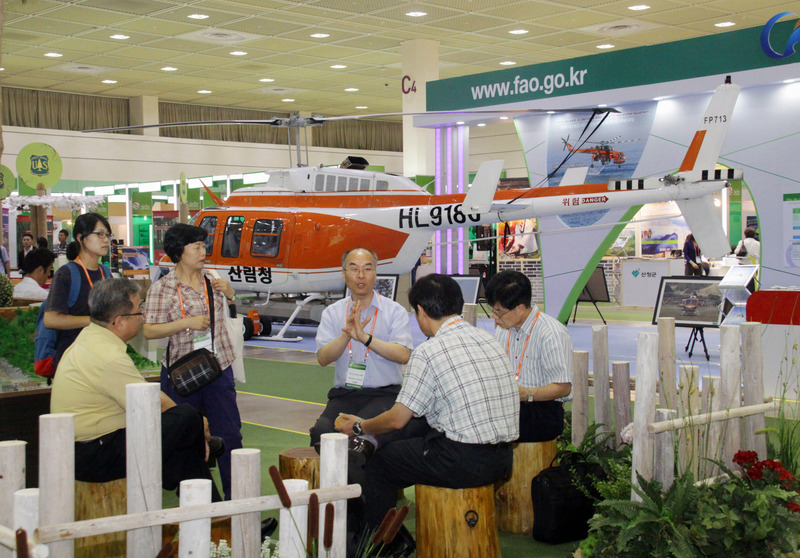 IUFRO participants in a group discussion, with the Forest Aviation Headquarters' fire prevention helicopter in the background. 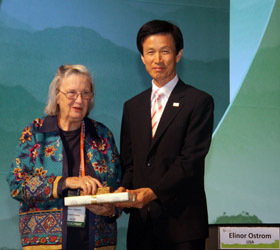 Back in the COEX complex on Friday after a damp day of field trips, participants enthusiastically filled 20 early morning technical sessions before hearing the keynote speech by Nobel Laureate Elinor Ostrom in plenary, who also participated in a sub-plenary on new frontiers of forest economics. 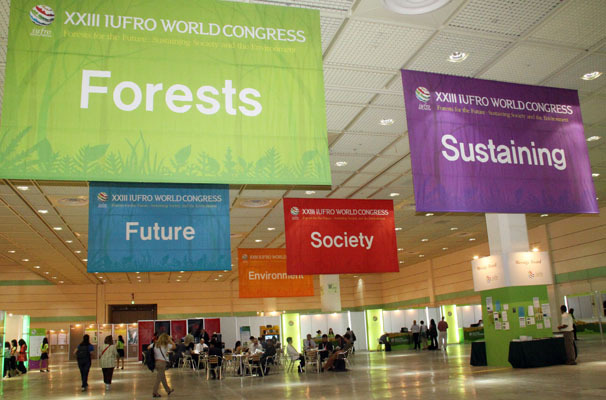 The two other sub-plenaries focused on agroforestry: the way forward, and enhancement of service life of wood in an environmentally conscious global society. Another 18 technical sessions met in the afternoon, as well as numerous side events and business events. Plenary Chair John Innes, University of British Columbia, emphasized it was time the natural and social sciences worked together. Elinor Ostrom accepting a token of appreciation from IUFRO President Don Koo Lee. IUFRO participants in an excursion to the World Cup Park, a landfill site turned Eco-Park. On Thursday, participants had a chance to brave the elements and experience innovative and inspiring forest-related projects in and around the Republic of Korea. Of the eight field trips, IISD Reporting Services was there to cover two of them, on Landscape Restoration and Sub-alpine Forest, and Old-aged Natural Forests and Landfill Restoration. 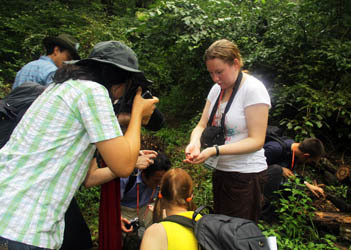 Remaining field trips included excursions to learn about: a protected area for biological diversity; non-timber forest products; conservation and utilization of forest genetic resources; forests and human health; sustainable forest management and the ecosystem approach; and the wood processing industry. 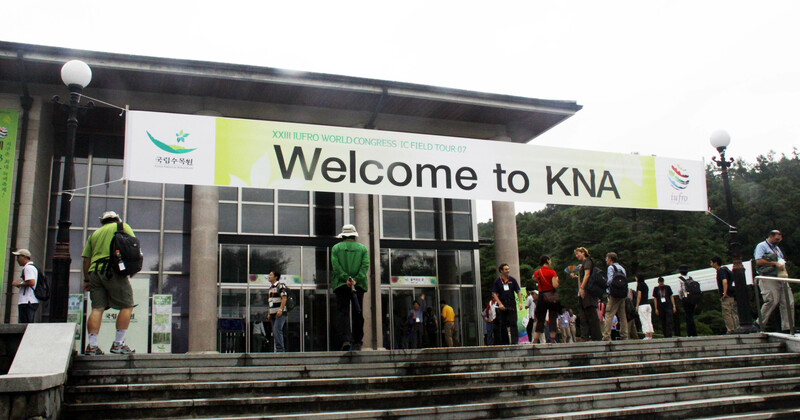 Arriving at the Korean National Arboretum. Participants in their element looking at various forest biodiversity. 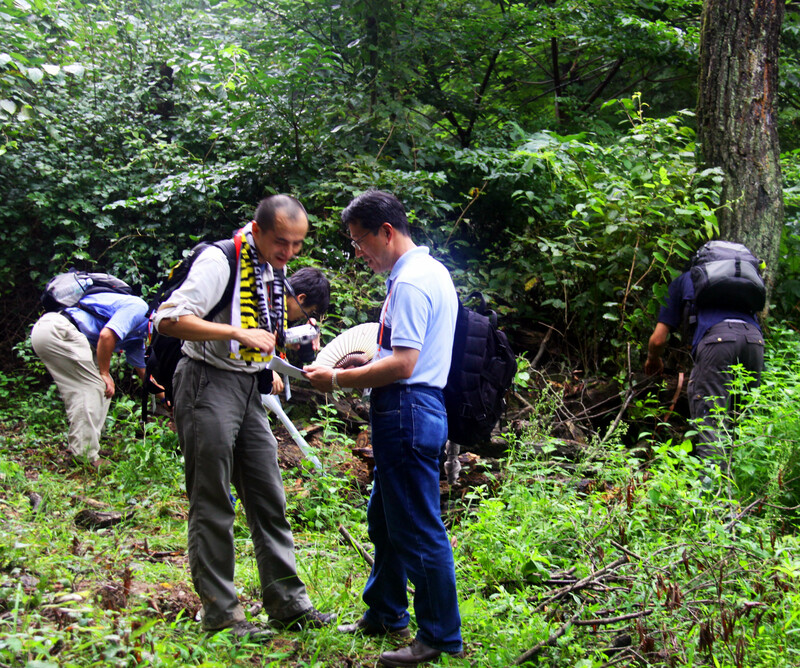 Participants looking around the experimental forest site. 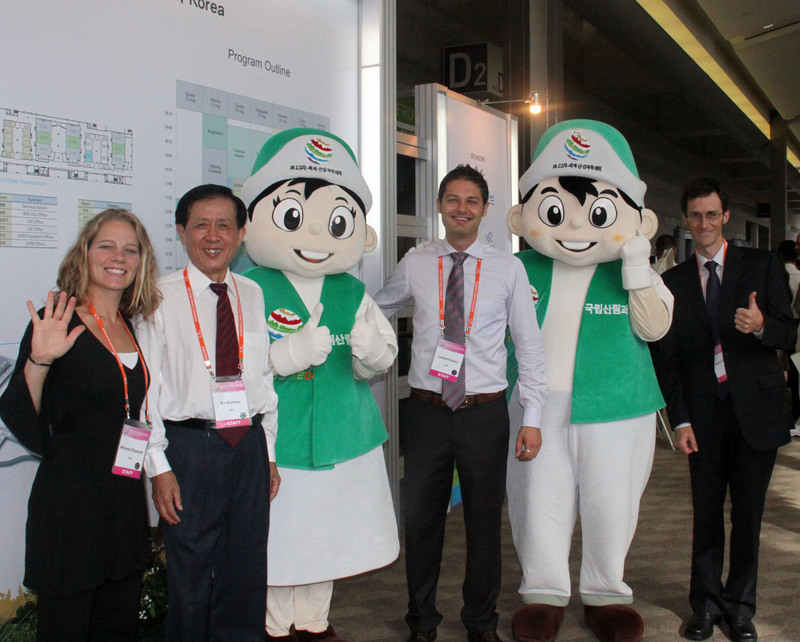 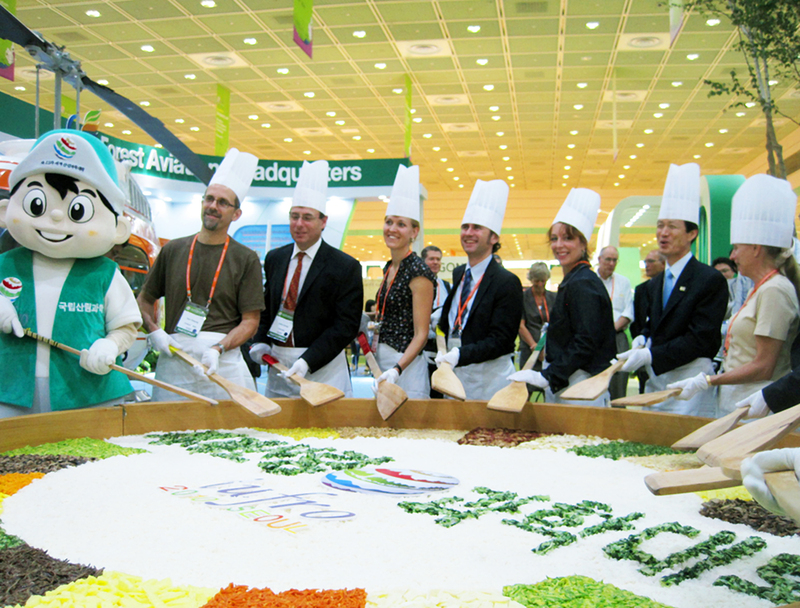 IUFRO delegates with the IUFRO Congress mascot mixing a giant serving of "Bibimbap". Photo courtesy of Reem Hajjar. On Wednesday, participants dug deep into technical issues following a plenary keynote speech by José Joaquín Campos Arce, Director General of Centro Agronómico Tropical de Investigación y Enseñanza (CATIE). 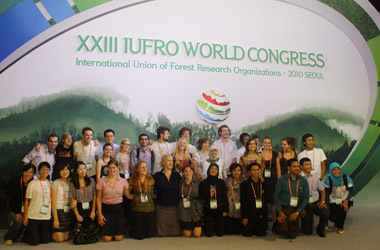 The day continued with three sub-plenaries on forest genetic resources, forest monitoring for climate change, and forest biomass utilization. 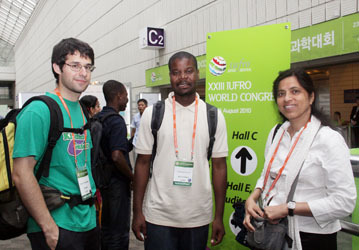 Thirty-nine technical sessions met, covering all nine Congress themes, along with multiple side and business events, as well as the final official poster session. 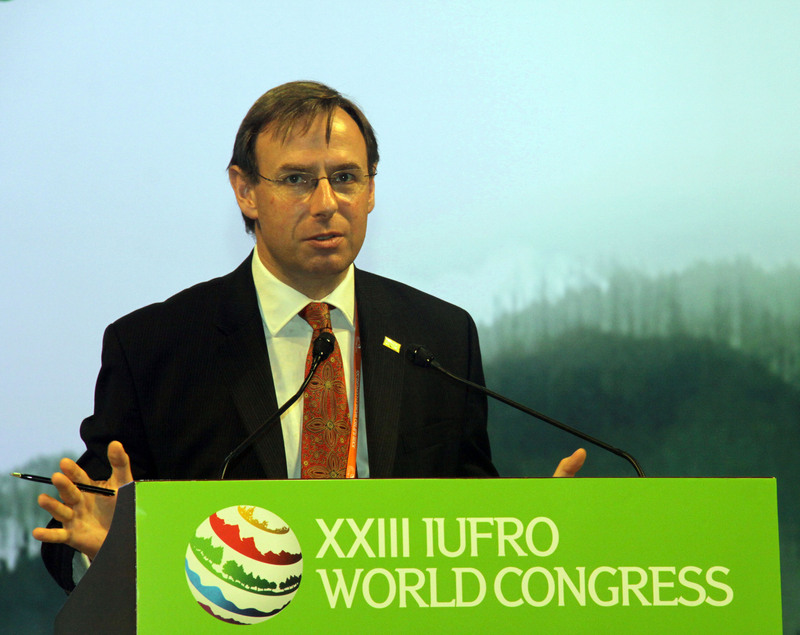 John Parrotta, US Forest Service, moderated the plenary session. 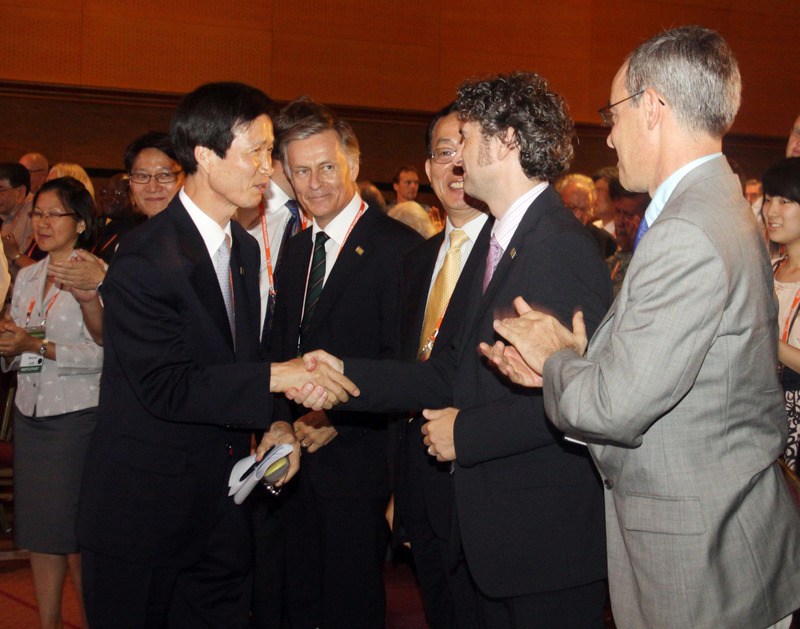 José Joaquín Campos Arce, CATIE, accepting a token of appreciation from IUFRO President Don Koo Lee. 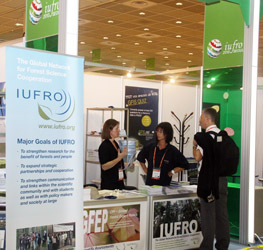 IUFRO theme banners prominently displayed in the exhibition hall. 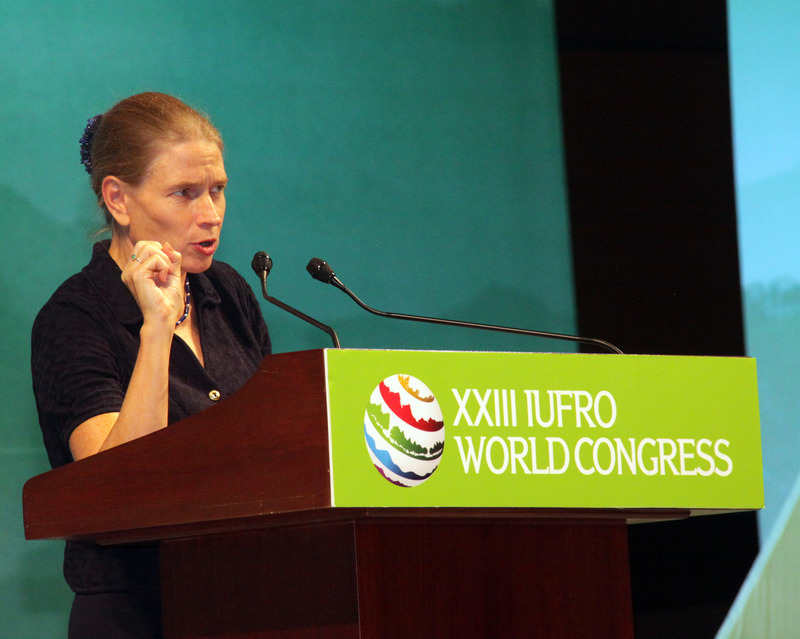 On Tuesday, participants continued discussing forestry issues of every hue, beginning with a keynote speech by Frances Seymour, the Director-General, Center for International Forestry Research (CIFOR) in the main plenary on past and future challenges of forest research. 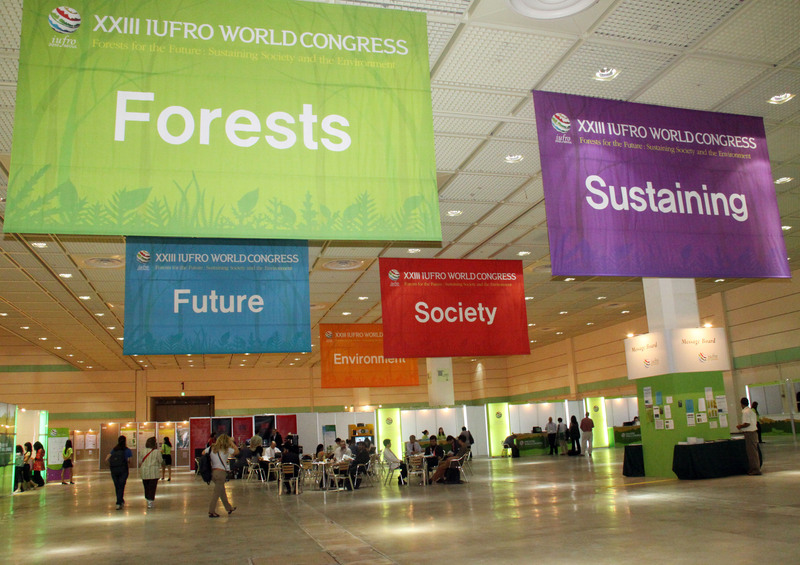 The day continued with three sub-plenaries on urban forests, the next generation of forest research, and forests and climate mitigation. 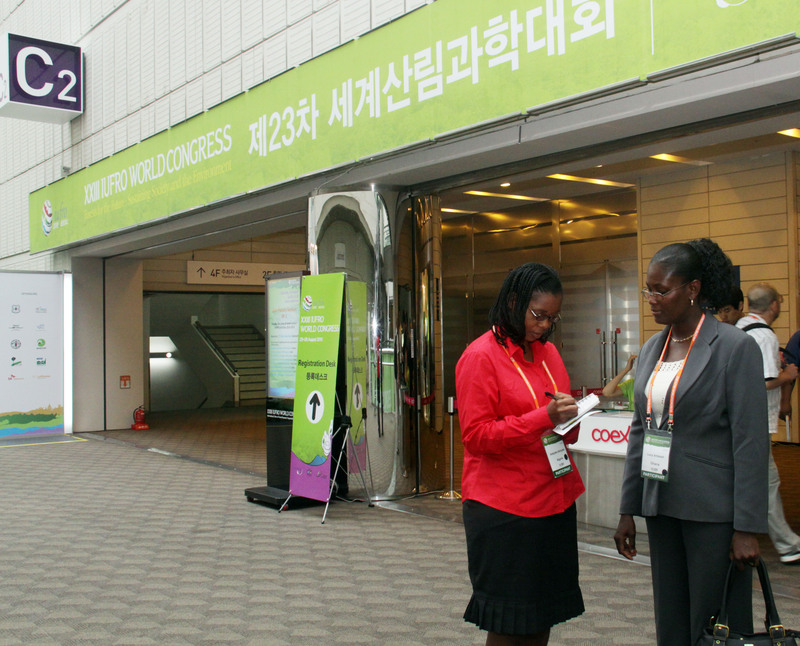 Additionally, 38 technical sessions met, covering all nine Congress themes, along with multiple side and business events, as well as the first of two official poster sessions. Frances Seymour, CIFOR, giving the keynote speech on past and future challenges facing forest research. 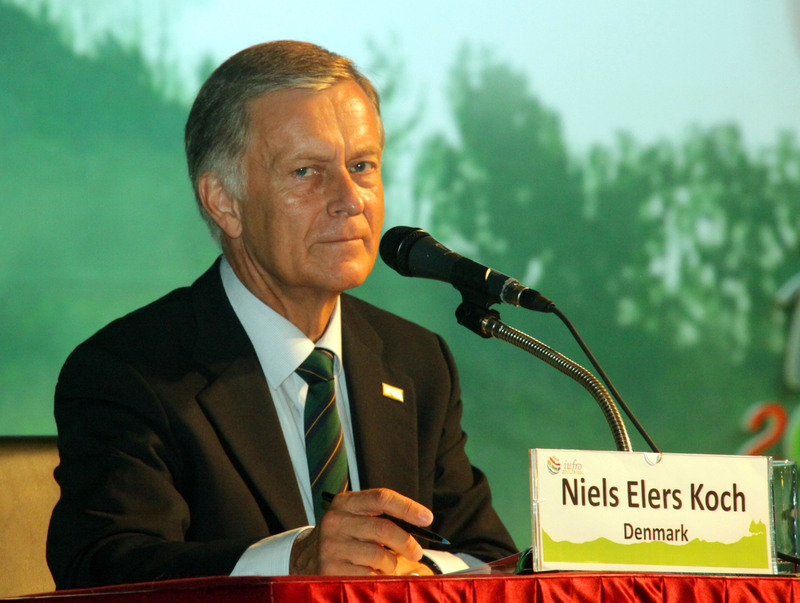 Niels Elers Koch, Forest and Landscape, Denmark, chaired the plenary session. Lee Myung-Bak, President of the Republic of Korea, giving his opening address. 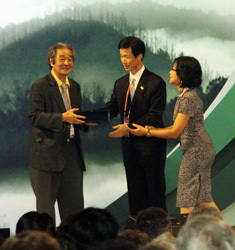 Don Koo Lee, IUFRO President, and Su See Lee, IUFRO, presented the Host Scientific Award to Sung Gak Hong, The National Academy of Sciences, Republic of Korea. 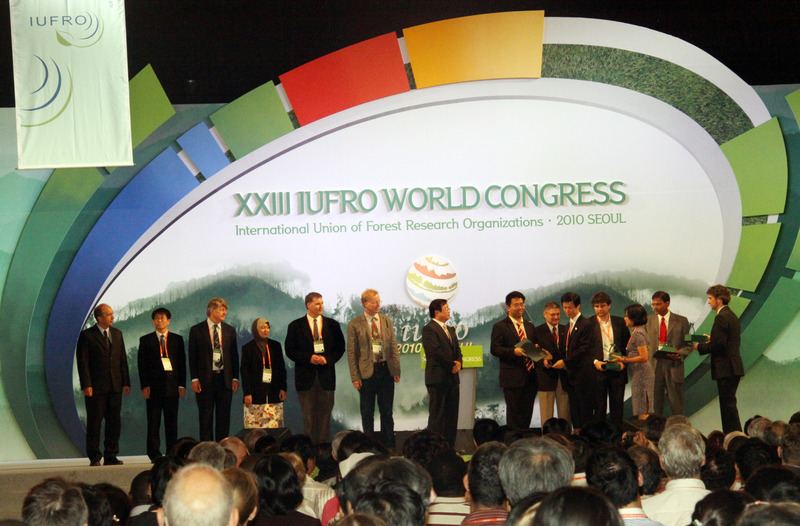 Don Koo Lee, IUFRO President, and Su See Lee, IUFRO, presented the Scientific Achievement Awards. 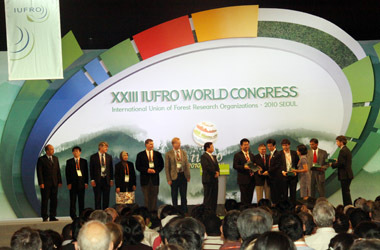 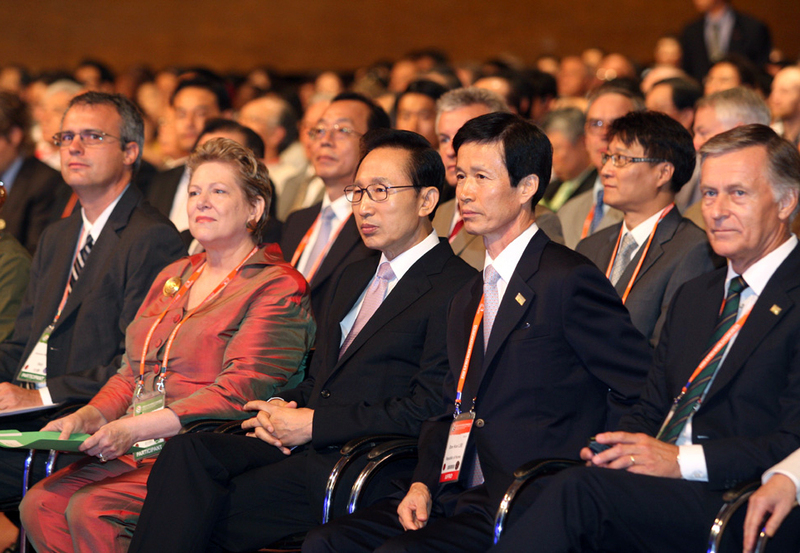 Lee Myung-Bak, President of the Republic of Korea (center) alongside IUFRO Congress VIPs. Photo courtesy of IUFRO. 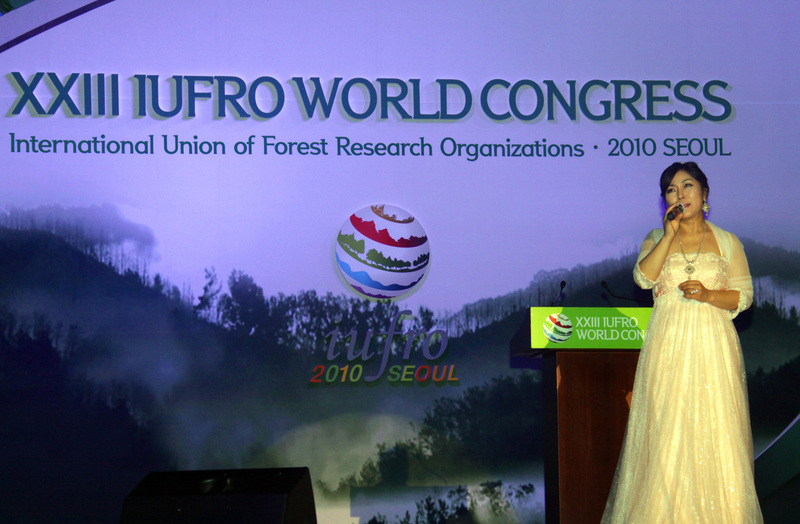 Korean musician and actress Lee Tae Won entertained participants during the closing plenary of XXIII IUFRO World Congress. 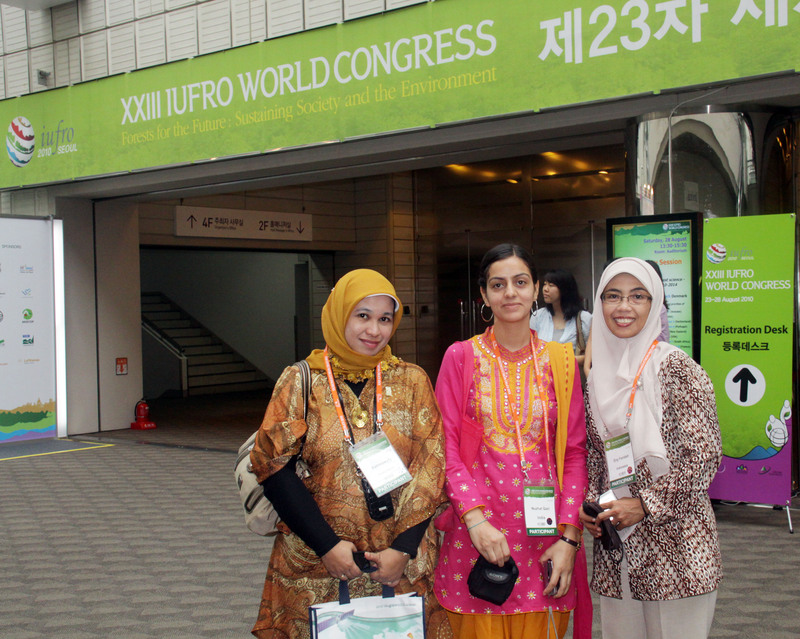 L-R: IUFRO participants Rahmawaty, Indonesia; Nuzhat Qazi, India and Eny Farridah, Indonesia posed for a picture by the entrance to the exhibition hall. 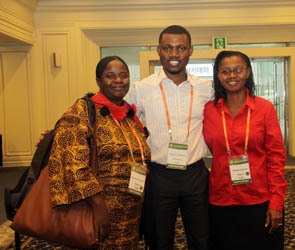 IUFRO participants Adejoke Akinyele, Nigeria, and Lucy Ammisah, Ghana, exchanging contact details. 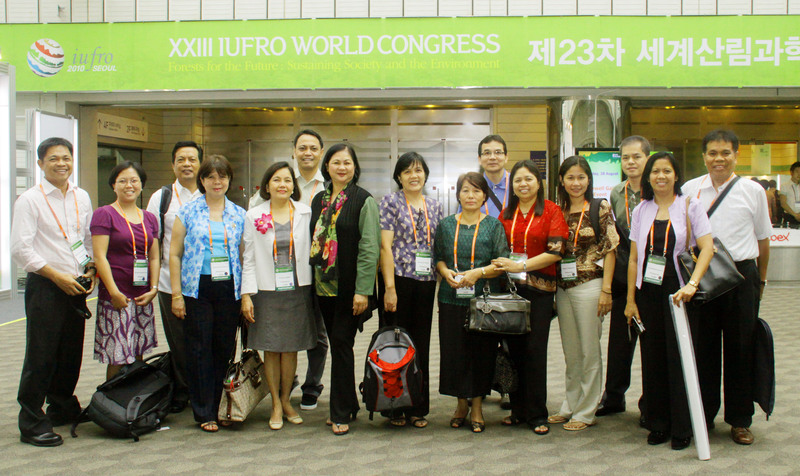 IUFRO participants from the Philippines. 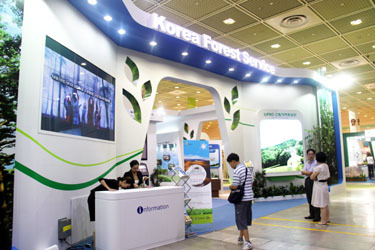 Korea Forest Service exhibition booth. L-R: ENB writers Liz Willetts; Kunbao Xia; Aaron Leopold; and Graeme Auld with IUFRO mascots.